Philippine economic managers are closely watching developments in China and Europe, having identified opportunities and risks for the country as changes sweep across the two economic giants, National Economic and Development Authority officials said in separate interviews. As China and the rest of Asia grows while Western economies struggle, the Philippines will have to weather the shocks and seize opportunities by improving competitiveness, Socioeconomic Planning Secretary and Neda Director-General Cayetano W. Paderanga Jr. said in an interview. 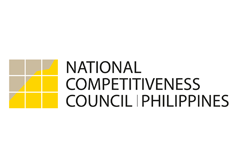 The “China effect” alone could add an annual average of 0.5 percentage point to the Philippines’ gross domestic product (GDP) until 2016, Neda assistant director-general Ruperto P. Majuca told reporters. While there is a small risk of China slowing down and possibly having a “hard landing,” Majuca said it seems less of a danger than worsening turbulence in Europe. The euro zone debt crisis is seen to continue in 2012 and send shockwaves to Asia, according to economists. This, Majuca said, could clip growth in the Philippine economy (in terms of GDP) by around 0.8 percentage point in 2012. Private economists agreed China’s plan to shift from being the factory to the world to a more consumer-based economy could be a plus for Philippine exporters, provided they prepare early and quickly seize export opportunities. “China’s rising production costs due to labor pressures bodes well for our manufacturing sector, as its status as factory to the world is now being compromised. I think the surging growth in our manufacturing sector can be partly attributed to this key trend,” Dr. Cielito F. Habito said in a text message. Some sectors that will benefit are food manufacturing, consumer durable products and agriculture, said Dr. Cid L. Terosa of the University of Asia and the Pacific. “Yes, I agree that it would add 0.25 to 0.5 percentage point to GDP on average. It looks promising because China is a huge consumer market,” Terosa said. To shield the economy from possible ill effects of changes in China and Europe, the government wants to fund projects with immediate benefits to the poor as well as those that would improve competitiveness among local businesses, such as infrastructure, Paderanga told reporters.